Eucalyptus is native to Australia and serves as a primary food and water source for the koala. Eucalyptus has an incredible history dating at least as far back as the legendary stories from Captain James Cook who sailed in to Botany Bay (Mid 1700’s). The world of essential oils has produced a number of different eucalyptus species. 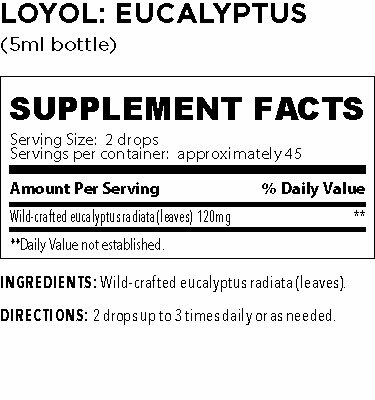 The species in which one opts to use is a decision that should not be taken lightly as there are actually some species of eucalyptus that can literally halt the breathing of a small child within a matter of minutes and yet we continue to see those species ushered into the essential oil industry, marketed as therapeutic essential oils! Be Young Total Health has deliberately chosen the Eucalyptus radiata species as it’s best suited to support the respiratory system. Most of us don’t breathe anywhere near as deeply as our bodies need and yet a subtle increase in oxygen in the body is sufficient to strengthen our immune system, boost our moods, tone our skin, and lighten our steps! 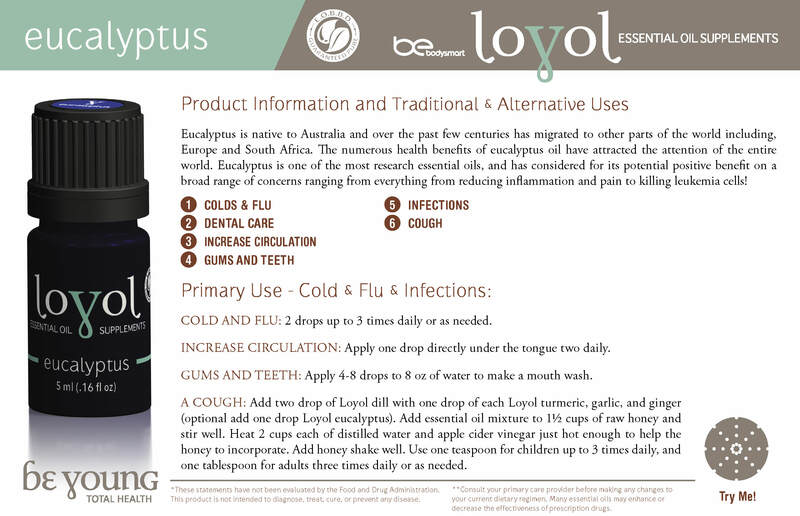 When used in our Loyol line of essential oil supplements it provides a wonderful boost to the body's defense system great for cold and flu season.